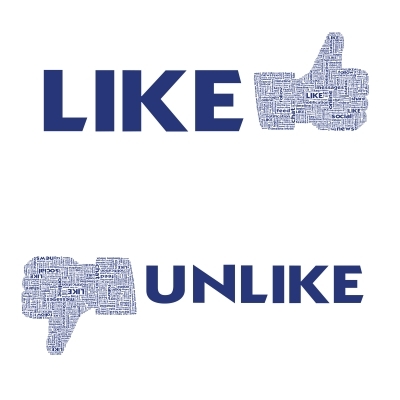 Tired of and bored with Facebook (and other social media sites)? Are you sick and tired of Facebook? Burned out and bored with social media? Today I was talking with speaker/author Dana Arcuri about this. I shared with her that while I’ve met some AMAZING friends and business associates on social media, and am able to keep up with our grown daughters, their children, and family and friends who live in other states on Facebook (for which I’m extremely thankful), I’m tired and bored with social media. And I don’t want to just live a virtual life! Facebook can ruin relationships, according to this post by Elizabeth Bernstein. She writes that people post about what they eat, “uber cute kittens,” say they need to floss their teeth (yuck! ), get lovey-dovey with a spouse (why do this? ), or say rude things they wouldn’t normally say in a million years in real life (apparently they feel safe enough to act this way, hiding behind their laptop or computer). The drama, the bragging, the boringness, the familiarity, and the constant promotional “Buy this!”are driving people away – especially young people – to other sites like YouTube, Pinterest, Instagram, Path, and Snapchat. Teens want more creative self-expression rather than telling all the mundane details of your life. Dana shared this article with me today, which was very eye-opening. leaves people feeling lonely, miserable, envious, frustrated, and angry. God made us for an intimate, fulfilling relationship with Him and others. He never created us to live just virtual lives, but to have real ones. I’m extremely grateful for the wonderful friends and business contacts I’ve made on Facebook and other social media sites. They have enlarged my territory and given me a wider, even a global, platform for speaking and writing. Yes, absolutely, I will continue using social media to connect with friends and business peers. Social media is not just a fad, and it’s not going away. But I absolutely refuse to be a social media slave. Read good books. Yes, paper ones. Read my books. “You will notice with a good book you find a comfortable place to sit, the light is better, your breathing relaxes – your body and mind relax.” Books take you places you have never been. They also help you learn many new things, inspire and motivate you, and give you great, valuable content to share with others. My husband Ray and I devour books each week. Exercise. Get outside the house in the fresh air and sunshine. I’ve been doing this lately, and on the days where it’s too cold to walk at the track (like this past week, when it was only 7 degrees! ), I work out to a kickboxing video. Just get moving! Live! Get fit and healthy so you can fulfill your God-given purpose. This is good for your body, soul, and spirit. Contemplate. Gift yourself the time to observe and reflect. Meditation is excellent mind training. Most major world religions teach this. For Christians, this would be time to meditate on the Bible, memorize Scriptures, and prayer. You can sit in a park, people-watch at the airport or coffee shop, enjoy the quiet of a library, or hike a mountain. Take a missions trip. My friend Kim Weber and her son Nathaniel are planning a short-term missions trip to Haiti this fall. We have a mission field right here in the U.S. ~ our children and grandchildren, nephews and nieces; inner cities; slums. Make a difference where you are or go to a place where there’s a need and unselfishly help meet it. Spend time with your family and friends. What good is it to have wonderful relationships online with friends, if you are ignoring the people in your own house or those God so carefully placed in your life? Let’s face it, if someone only spends time on a computer, laptop, or smart phone, they get weird. You were created for face to face relationships. Eat supper with your family at night. Go to lunch or coffee with a friend or biz peer. Go on a date with your husband or wife to see a good movie, or to a bookstore. Meet with other Christians for a Bible study, prayer, and/or worship. Have a girls’ night out with a jewelry party, chocolate cheesecake dessert, or fun pedicures. Enjoy and love your family and friends in real life! Use your spiritual gifts, talents, and skills. Do what God has called and anointed you to do. For me, this is speaking and writing books. What are your spiritual gifts? Do you know? If not, find out what they are. You can take online tests. Read Spiritual Gifts and Ministries of the Holy Spirit by Lester Sumrall and Step Out and Take Your Place by Krista Dunk. Don’t be like the man who hid his talents in Matthew 25:8, but use your talents ~ and God will bless you with more. Live your life in a way to seek to please God. Please don’t misunderstand and think I hate Facebook or other social media sites and am telling you to get off them completely (or at all). Social media has been a blessing in my life and enriched my life through meeting new people and enabling me to do things (like speak in Canada, the Bahamas, and Africa) that I may have never been able to do, otherwise. Social media is a TOOL. Use it as such. Keep things in balance. Just remember to live your REAL life – offline!